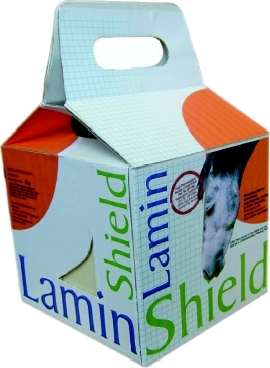 LaminShield can be particularly beneficial for horses who are prone to laminitis or stress. It is free from molasses & calories. It is suitable to feed to all horses, as it will promote skin, hoof, skin & overall body condition. It is produced in the UK, from Cheshire salt. LaminShield can be fed in a number of different ways- 5kg block, 2kg block or LaminShield Pure Sachets.